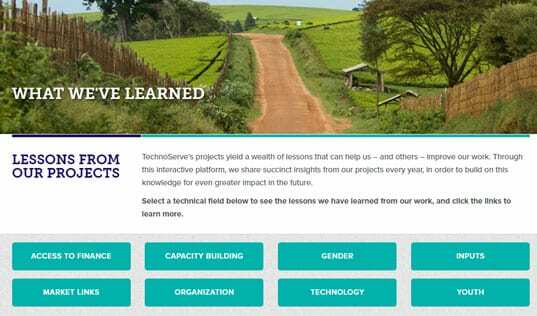 Piloting geospatial technology, TechnoServe's Innovation in Outcome Measurement iniative identified a business model that creates $14 returns for farmers from each $1 of program investment. There are certainly many challenges facing sub-Saharan Africa’s economic development. Chief among them is the region’s comparatively low yields and incomes on smallholder farms. However, while there may be many barriers to development, there are also a host of innovations available to the government, public, and private sector actors working to resolve these issues. In fact, one of the most difficult challenges in finding pathways past these obstacles is identifying which of these solutions is worthy of concentrated investment. 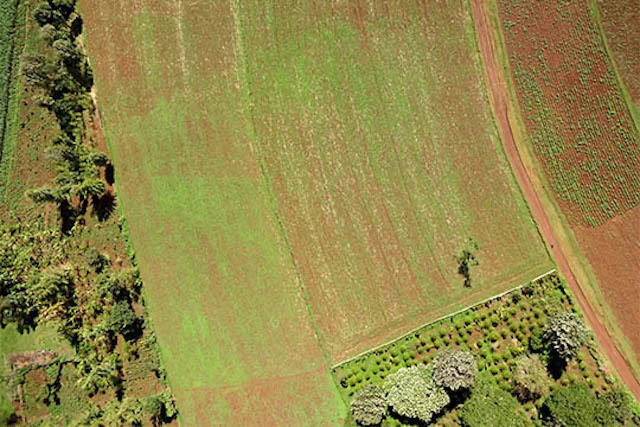 Read the complete case study to explore how drone-assisted imaging and mapping services can bring new income and efficiency to agriculture, freshwater storage, and urban planning. In December of 2015, TechnoServe joined forces with the Bill & Melinda Gates Foundation to launch Innovation in Outcome Measurement (IOM). The two-year, $1.6 million initiative represented an intensive effort to develop more impactful, cost-effective tools and methodologies that can measure the outcomes of a wide assortment of agricultural interventions. One such intervention was the use of geospatial technology – satellites and drones, in particular – to boost low rates of agricultural productivity. While drones are already being deployed in Africa to deliver medical aid, combat poaching, and support wildlife conservation, IOM sought to learn more about the potential of this exciting and rapidly evolving technology to address pressing issues across agricultural systems. Throughout Uganda, farmers’ yields are far below what farmers achieve in other parts of the world. Among the reasons for this disparity is that, in addition to a lack of inputs and mechanization, most African farmers have not been trained to use advanced agricultural practices. 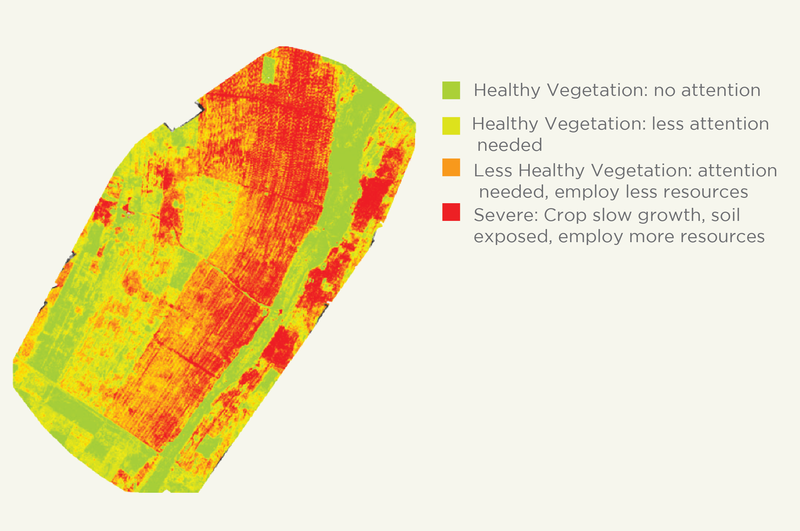 Geospatial technology can provide the in-depth monitoring services needed to apply "precision agriculture" methodologies to farms, boosting yields and reducing spending on inputs. It may sound counterintuitive to propose a solution as technologically advanced as drones to address such an issue, but drones have the potential to change the way even small farmers run their farms by providing the information they need to implement better practices. “Precision agriculture,” for example, is an innovative approach to farming that is gaining support around the world. The central idea of this method is to determine the precise timing and quantities of water, fertilizer, pesticides, and other inputs that should be applied to crops. 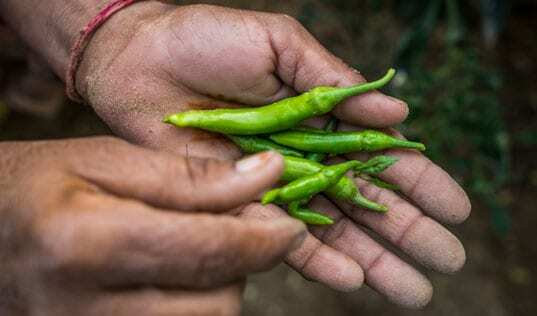 However, pinpointing these volumes and timetables depends on the plants’ current states of health, which requires expansive, regular, and detailed monitoring that simply isn’t sustainable for many farmers, especially smallholders. 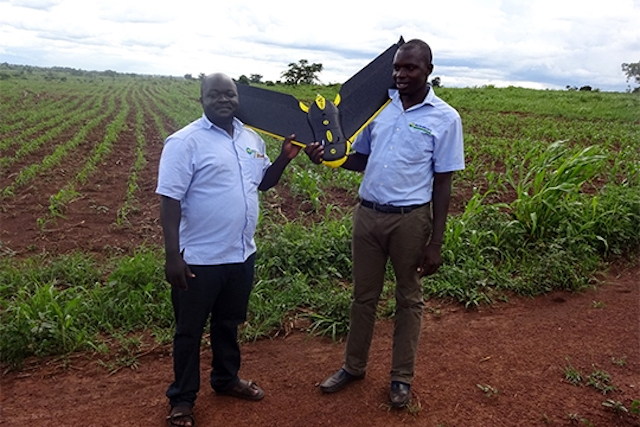 In order to evaluate the potential of private sector drone-assisted services as a monitoring system for precision agriculture at the smallholder level, TechnoServe partnered with Equator Seeds Limited, one of the leading seed multiplication companies in Uganda. Although demand for quality seeds has been rising rapidly in Uganda, Equator Seeds’ production levels have been limited by their inability to monitor seed production. Equator Seeds works with over 30,000 smallholder farmers who serve as contractors, or “outgrowers.” Such an expansive network had historically made monitoring impossible, inhibiting opportunities for farmers and Equator Seeds to improve their practices, yields, and incomes. In order to assess the benefits that drone and satellite-assisted imaging and mapping services might provide Equator Seeds and their farmers, the IOM team piloted the technology on 270 outgrower farms. Using drones and a variety of sensors, it is possible to measure farm area, estimated yields, and crop health, among other metrics with the potential to inform decision-making around farming practices and inputs. Through the pilot, TechnoServe was able to analyze these previously theoretical benefits for sustainability and cost effectiveness. Armed with the information gained through geospatial technology, farmers increased their fertilizer application where yields were struggling and lowered pesticide use where no plagues were present. Overall, pesticide application decreased by 60 percent. Using geospatial technology, IOM helped farmers to apply inputs more efficiently and effectively, generating $2,150 in their incremental annual profits. And the findings were impressive – pilot farmers gained an average of $2,150 in incremental annual profits, or a total of over $580,000, and Equator Seeds gained profits of $4.2 million – a return on investment (ROI) of $14 for each $1 of program investment. Even more impactful, however, are the implications for long term agricultural development. Now with a strong economic model backing it up, this innovation in smallholder farming could pave a sustainable avenue to prosperity beyond project intervention. In fact, Equator Seeds is taking the first step in creating a private-led revolution in smallholder farming, planning to roll out drone and satellite monitoring for all their operations. The business case is clear: with a start-up cost of $200,000, the IOM team estimated that outgrower farmers will gain over $31 million, and Equator Seeds will gain $137 million in their first year using drones to monitor farms. 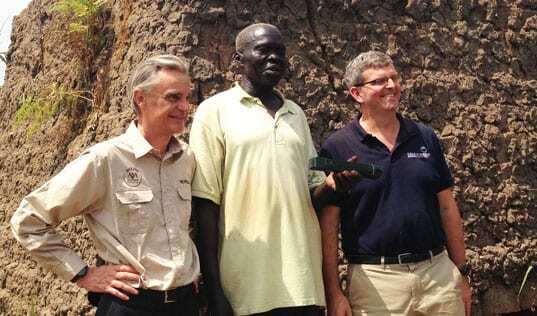 This represents an ROI of $495 for every $1 of Equator Seeds investment. Such extensive growth at the agribusiness level will make considerable contributions in the fight against rural poverty. Due to a projected 100 percent increase in yields, coupled with a projected decrease in spending on excess pesticides, individual farmers in Equator Seeds’ sourcing network are projected to see returns of over $18,000 for maize and bean seed production and $1,500 for soy seed production in their first year. That means $67 million in additional income for smallholder farmers in just one year. To dive into the numbers and learn more about IOM’s findings on the potential of geospatial technology to transform agriculture, urban planning, and freshwater storage in sub-Saharan Africa, read the complete case study.